Peaches Geldof's toxicology report turns up fatal levels of heroin. 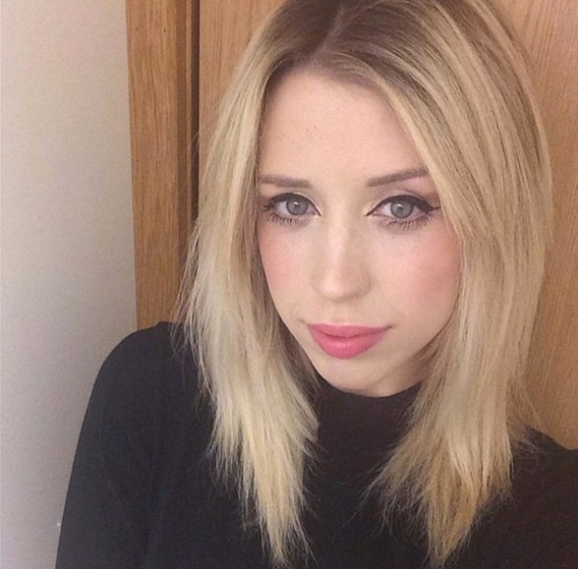 Though Peaches Geldof's autopsy results won't be officially revealed until Thursday, as of late Wednesday, The Times of London is reporting that the British television presenter and fashion personality died of a heroin overdose. Geldof was found dead at her home outside of London on Apr. 7. And if the Times' report turns out to be true, Geldof will have died in the same manner as her mother, Paula Yates; the British television presenter died in 2000. The death has been treated as non-suspicious but unexplained, with an Apr. 9 autopsy proving inconclusive. No evidence of hard drugs was found on the property or inside the five-bedroom home Geldof shared with musician husband Thomas Cohen and their two infant sons. The 25-year-old was once known for her party-girl persona, admitting to Britain's Guardian newspaper in 2009 that she'd experimented with drugs but had since sobered up. They've known all along what she died from. I'm surprised it took this long for it to come out. No surprise here, and no her spirit is not at peace as in life so in death, I wonder who swept the place clean of the drug evidence and paraphernalia's? another bored rich white person dead.